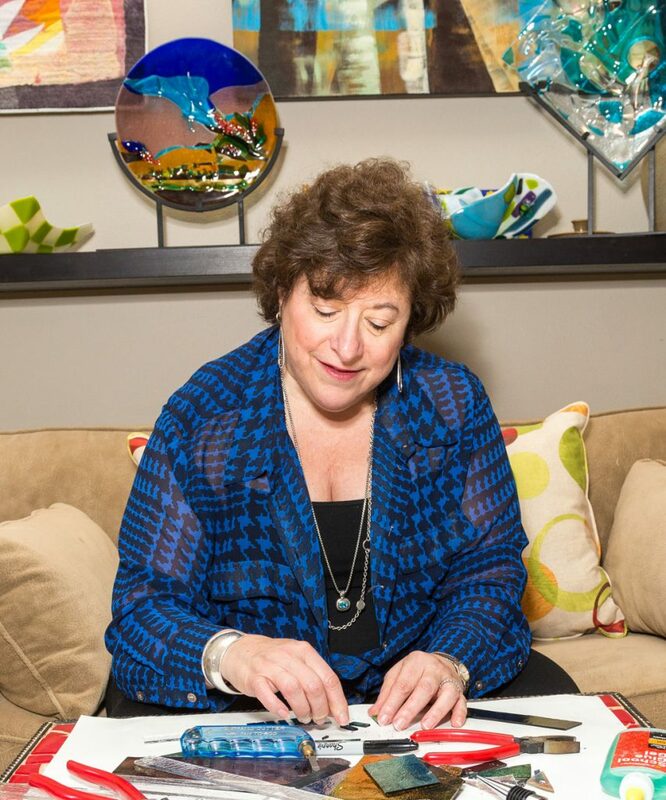 Art major turned marketing major, Judy had a career in career in PR /Marketing, followed by years of fundraising and event planning. Today, Judy is the Senior Development Director for Educational First Steps. 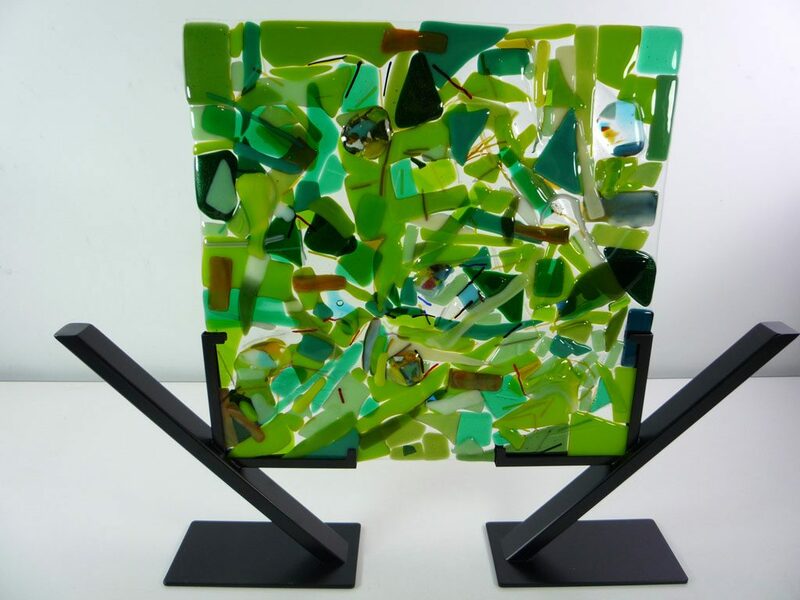 Always having a desire to share her creative side, Judy has enjoyed finding creative outlets in writing, mosaics, painting, and now glass. 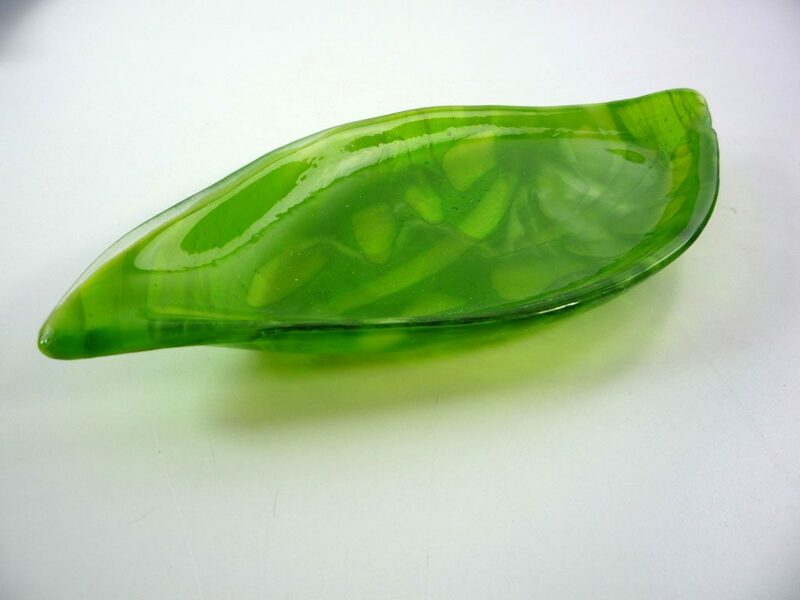 Working with glass became addictive. 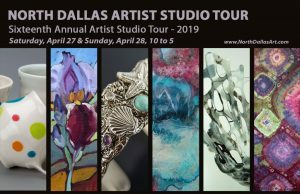 After 5 years of classes and workshops, she began working in a home studio and then joined 13 other fused glass artist in La Hoya Glass Artists Studio. The properties of glass are magical and diverse. The creative possibilities are endless. 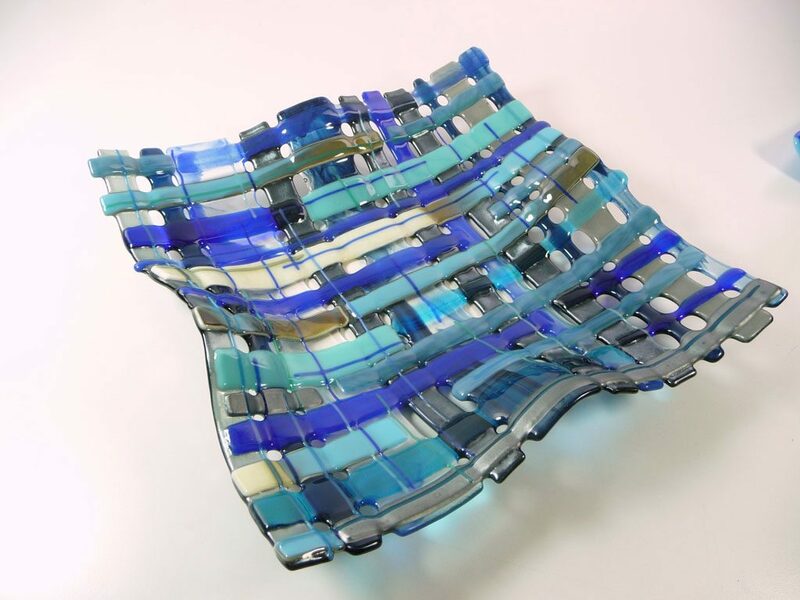 In fused glass art you combine the myriad of colors of glass with different heating techniques to create one of- a- kind pieces. 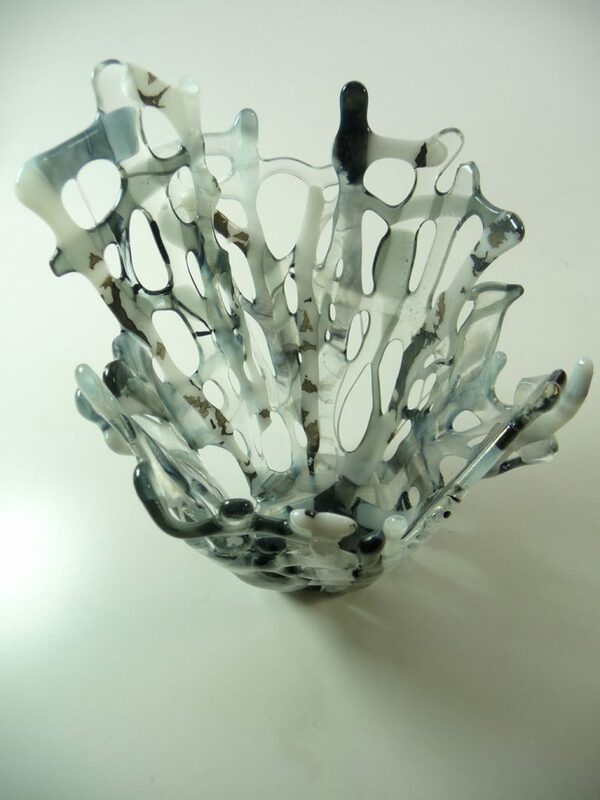 Layering glass, using textures, firing the glass in kilns, and then cold working the piece can both delight and sometimes frustrate the artist at every turn. But, the end result – a piece you fall in love with. 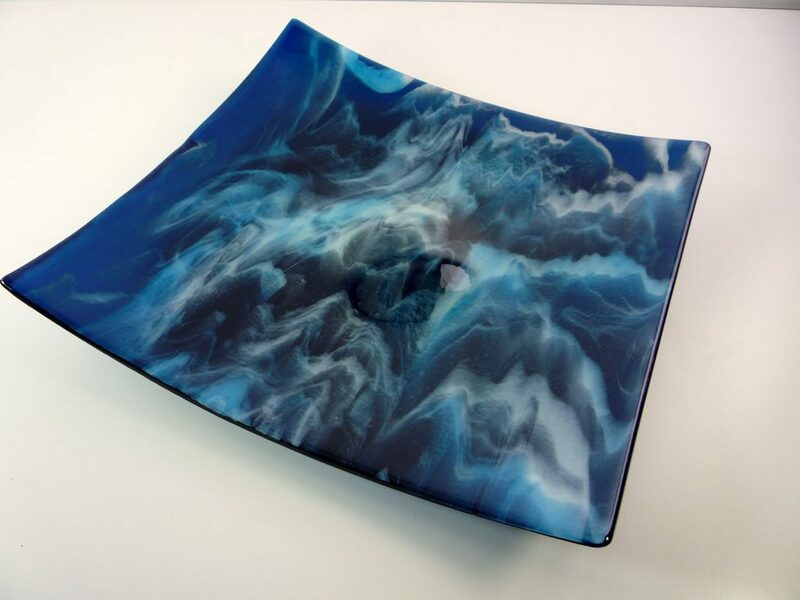 In Judy’s most recent pieces she is exploring unique shapes and formations that make her finished pieces both artistic and functional – that one-of a kind vase, freeform bowl or a platter that, when not in use, makes a beautiful wall hanging. She often incorporates found objects in her works and enjoys collaborating with her husband Jack and his magical mobiles and metal works.